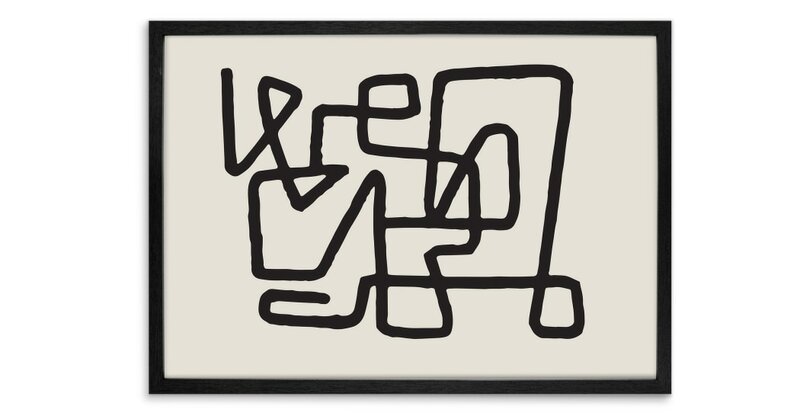 This print features an abstract knot, which twists across the canvas. Intricate, and surprisingly soothing. Printed on an off-white background, the black design of this framed print really stands out. And will fit in anywhere.